Trying to schematize, we could map this list of technologies to the various levels of the classic diagram of a multi-tier architecture, getting the result shown in the image here to the right. Finally, we will also deploy it to Azure, the Microsoft’s cloud platform, using an Azure Webapp as a container for our Spring Boot application and a series of Virtual Machines on which we will install our MongoDB Replica Set. The following diagram describes, at a high level, what will be the physical architecture of our solution deployed on Azure. Spring Boot is a framework for the development of Java-based web applications that offers, thanks to its conventions and so-called “starters”, an additional level of abstraction, especially in terms of project setup and configuration and of dependencies management, compared to the use of Spring Framework. It thus allows us to further reduce the time needed to implement and distribute our solutions. 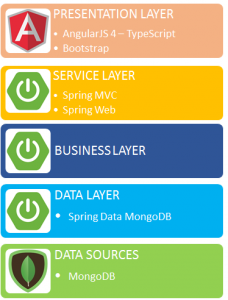 As we go ahead in the article we will see all the benefits that Spring Boot introduces in developing a web application, while for now we limit ourselves to this first list of its main features. 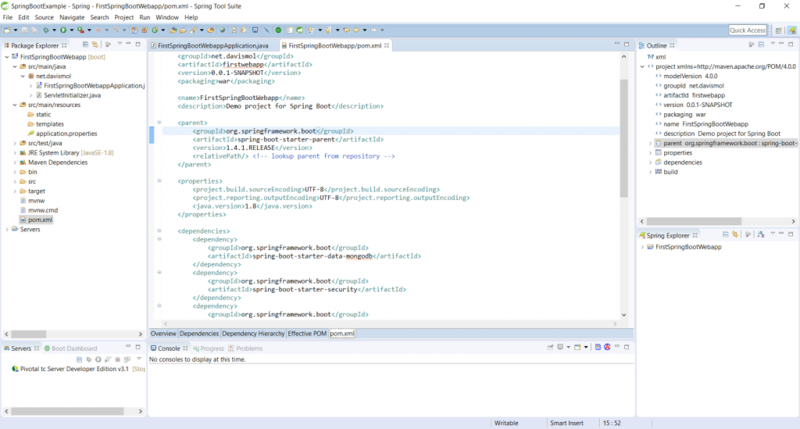 It allows you to configure the main libraries and frameworks commonly used in development by simply setting the appropriate pre-defined properties within its “application.properties” configuration file. 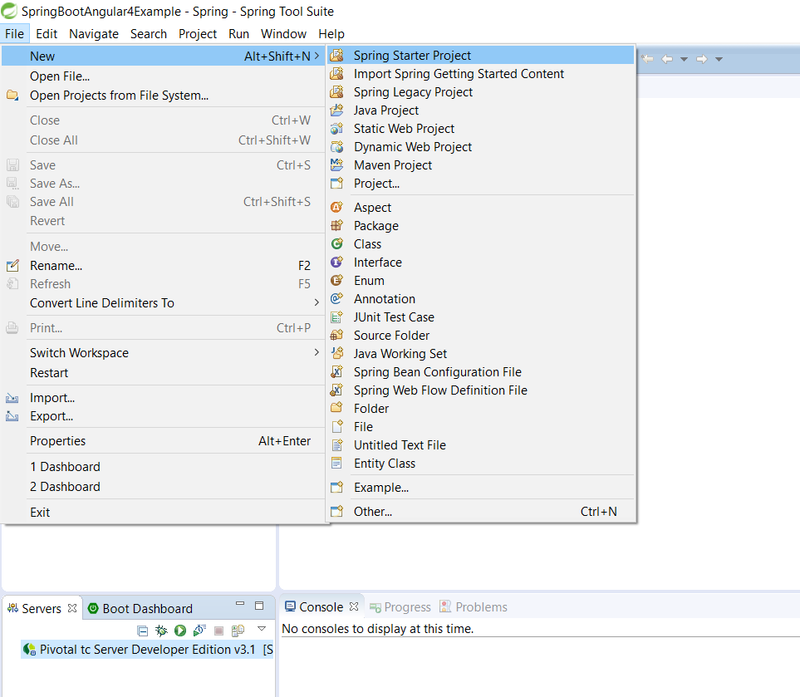 Properties for which, as we will see later, its development IDE “Spring Tool Suite” provides the search and self-completion functionalities. 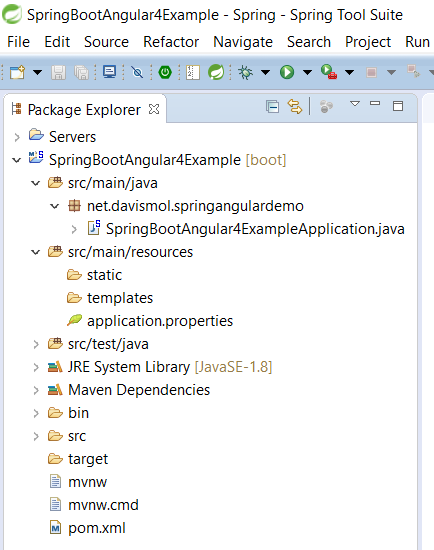 Spring Boot has a dedicated development environment called “Spring Tool Suite” which is actually nothing more than an appropriately customized version of Eclipse. 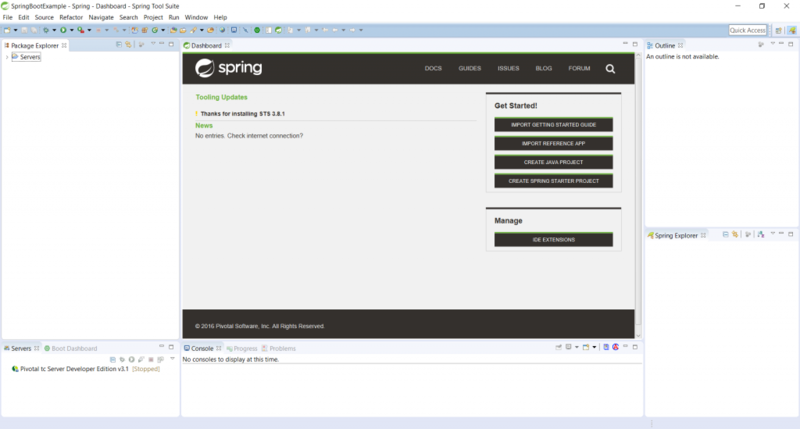 Once we’ve installed the “Spring Tool Suite” environment, we can proceed with creating our first Spring Boot project. 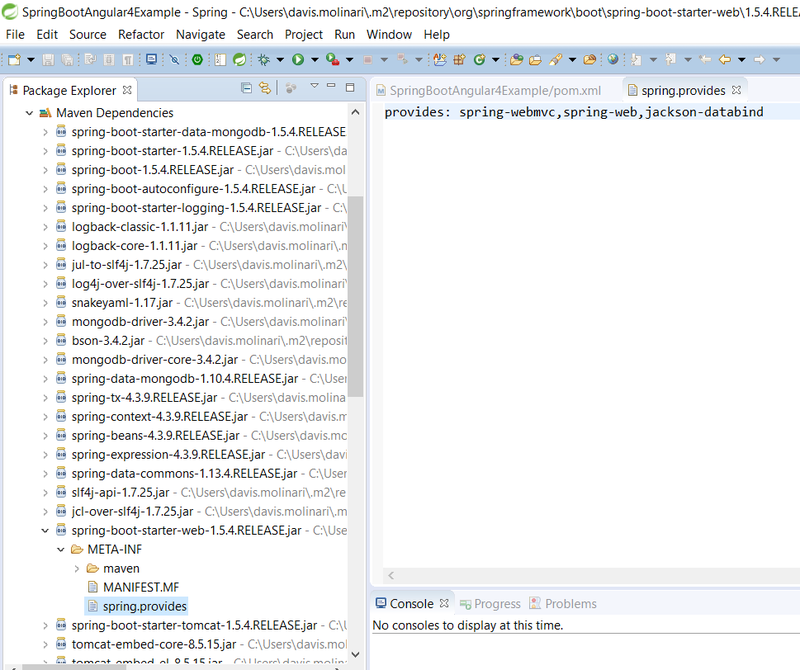 and we insert the name of the project, such as “SpringBootAngular4Example”, and its characteristics. 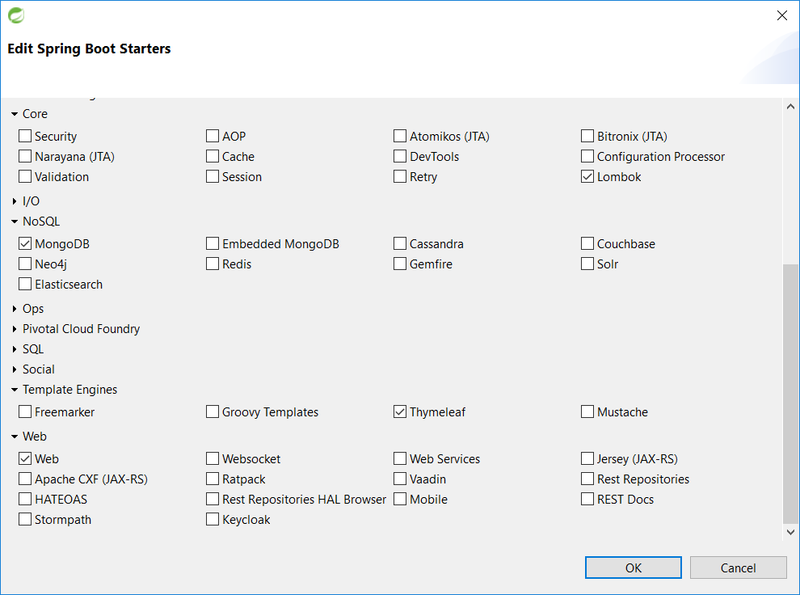 By clicking on “Next”, we go to the next screen of the project creation wizard, which asks us which “starters” modules we want to initially add as dependencies. 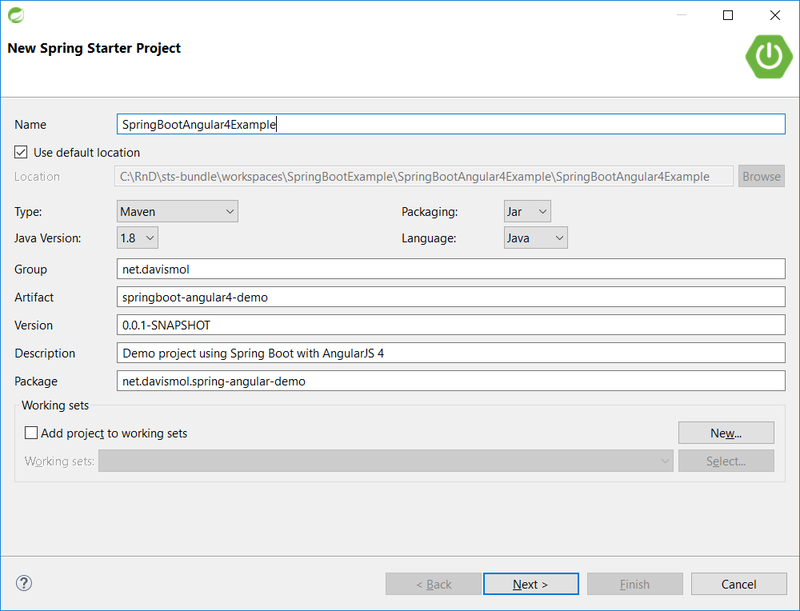 @SpringBootApplication is a Spring Boot annotation that encloses @Configuration, @EnableAutoConfiguration and @ComponentScan annotations to configure the application with the default parameters. The main instead contains a call to the “run” static method of the SpringApplication class that actually executes the application. Each Spring Boot “starters” contains a file called “spring.provides” that contains the list of libraries the starter itself includes.